Designed for full automation compatibility. 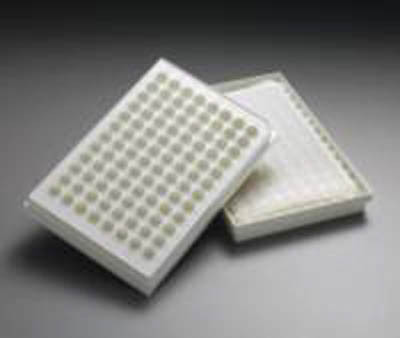 MilliporeSigma™ MultiScreenHTS Durapore™ 96-Well Filter Plates are innovative plates ideal for bead based assays. Opaque Barex™ and clear, sterile or non-sterile styrene and racks are available in a range of pore sizes. For use in receptor-ligand binding, general sample preparation, ELISPOT, enzyme activity, bead-based assays, whole organism visualization, and radioisotope detection.